The holiday season is nearly here which means it’s time to start planning your festive adventures. 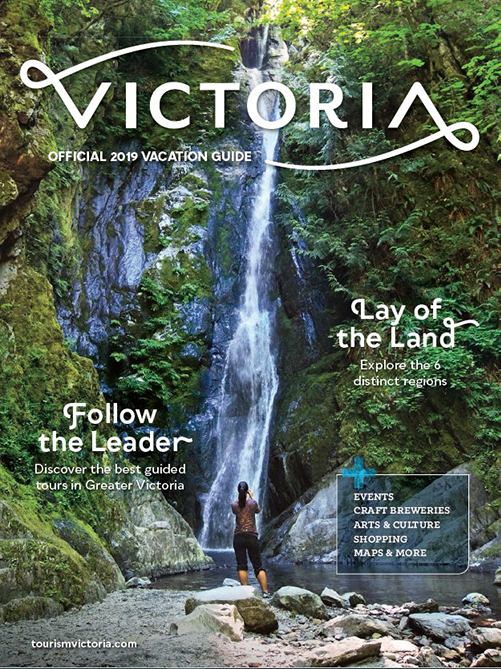 From shopping for the perfect handmade gift to ice skating at the beautiful Butchart Gardens, Greater Victoria is the perfect place to have an extraordinary Christmas. Grab your nearest and dearest and head to one of Victoria’s best bars for drinks and friendly banter. Located inside The Hotel Rialto, Veneto Kitchen + Bar is one of Victoria’s most endearing heritage properties offering global tapas and artisanal drinks. 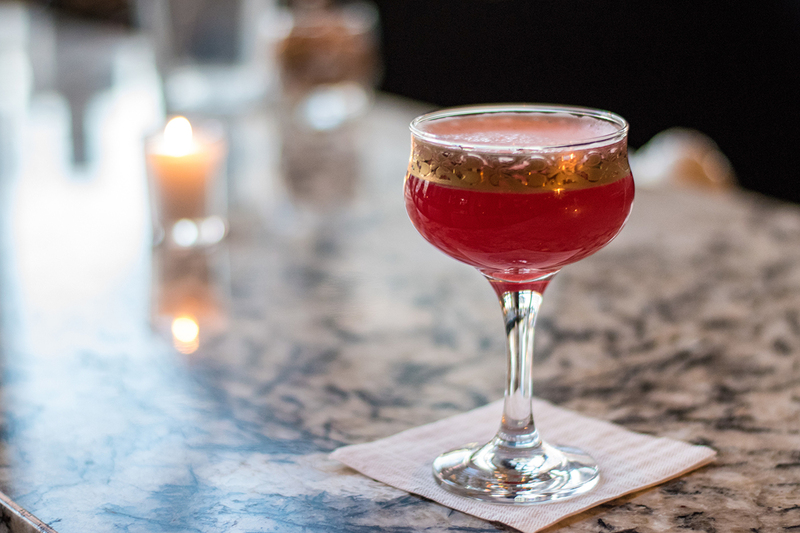 Try the Lava Lamp Negroni made with Victoria Gin and hibiscus-and-dill-infused olive oil. Another local institution, Clive's Classic Lounge, offers high-quality drinks made with house-made bitters, syrups, shrubs, and liqueurs. Our top pick? The Deep Dark Woods featuring McClelland's Islay Scotch, Stump Gin and green chartreuse. If arts and crafts get you in the Christmas spirit then this event is for you. Happening on November 24, the Nautical Wreath Workshop will see you walk away with a decoration with a difference. 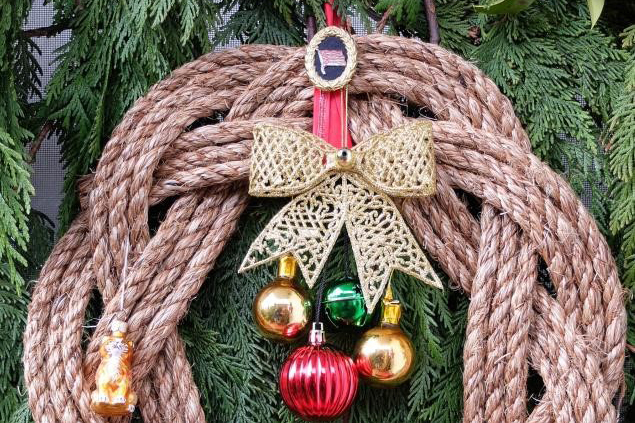 Turn a single piece of rope into a beautiful holiday wreath. Your ticket includes admission to The Maritime Museum of British Columbia (valid for 24 hours), and all materials, including ribbon and decorations, are provided. The best holiday meals start with the very best ingredients. You won’t find anything fresher or finer than the produce at the Victoria Public Market in the historic Hudson building. Home to local artisans, farmers, butchers, bakers, preservers, brewers, vintners and florists, you’ll find everything you need for your Christmas holiday spread. Featuring live entertainment in a unique historical setting, be prepared to walk out with bags full of goodies and a heart filled with Christmas cheer. Add Christmas lights to an already beautiful city and you have something truly special. Take an evening stroll along our iconic harbour to see our historic landmarks, including the British Columbia Parliament Buildings, twinkle and shine. The festivities officially kick off during the annual Island Farms Santa’s Light Parade and continue for the duration of the season. 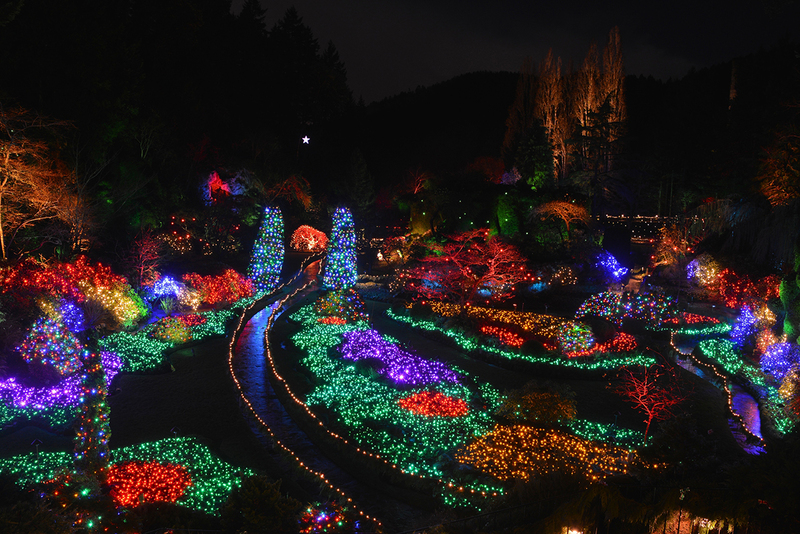 To find Christmas cheer outside of the city centre, head to The Butchart Gardens for The Magic of Christmas. Complete with nightly garden illuminations that will take your breath away, there’s also ice skating, kids activities, carousel rides, and festive dining and tea options. Be there with bells on. 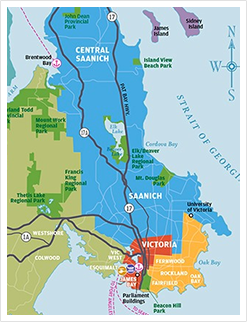 For the type of gifts that will bring joy to your friends and family, head to Greater Victoria’s best boutique shops and markets. 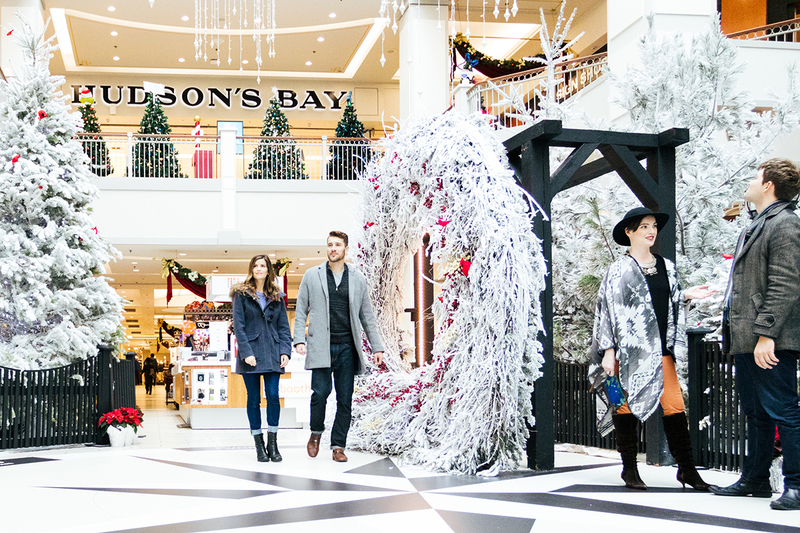 Located on Government Street in the heart of Downtown Victoria’s shopping district, find a little something for everyone at The Bay Centre. 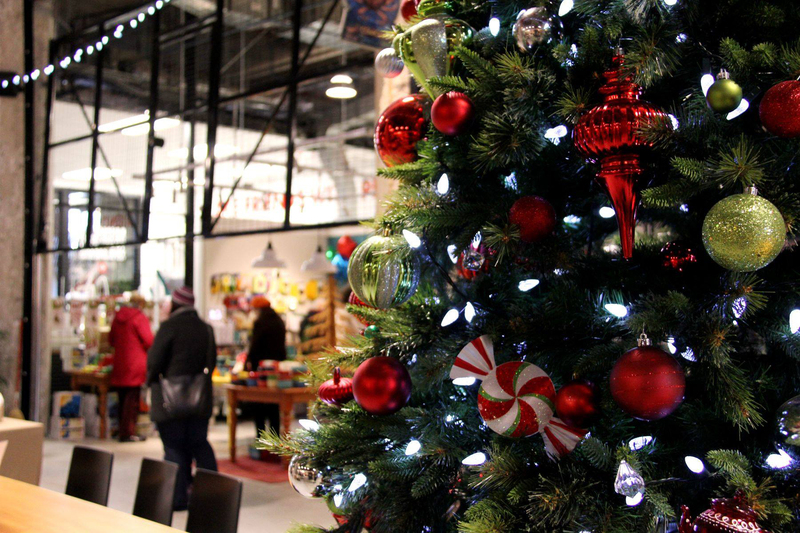 While you’re shopping, marvel at the Festival of Trees and maybe even vote for your favourite. For one-of-a-kind presents, including locally made jewellery and vintage items, head to Market Square in Old Town Victoria. It’s here that you’ll find Oscar & Libby, one of Greater Victoria’s most colourful stores. Named after the owners two cats, it’s filled with weird and whacky finds and lots of fun stocking stuffers too. Last but not least, you'll be sure to catch the Christmas Spirit at the Victorian Christmas Craft Fair. Happening on November 17 and 18, get ready to experience traditional Christmas shopping that echoes the Victorian roots of our city. Pick up hand-made Christmas decorations, contemporary pieces, and gourmet baked goods and treats to kick off your holiday season in style.